Hey Prop Dads out there, we do have some dancer and stage safety thoughts. The rules for bringing props on and off stage and backstage storage. If you plan to bring things or have them dropped off, we'll need to know. Our business is not one of minutes or hours, but seconds so it matters a great deal when we have props and understanding how much time is involved in the set-up and removal of that prop from the stage. It helps us plan the schedule as well as keep our backstage crew informed. The more informed we are, the better we can manage your experience. 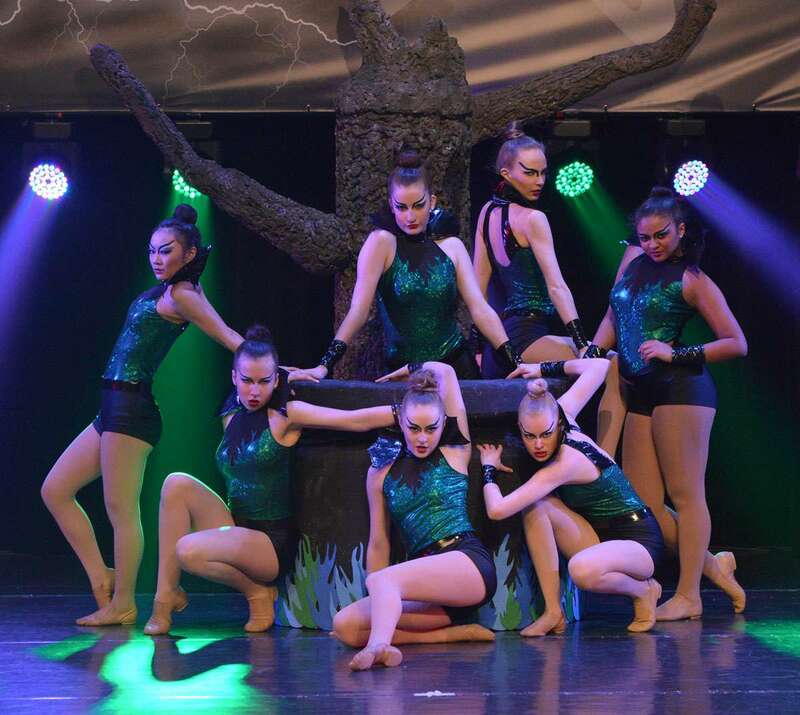 Props cannot exceed six (6) feet from the ground on a without safety measures in place for dancers on and off the apparatus and approved by Thunderstruck Canada. Props cannot include or use any oil-based products that may or can leave residue on the dance floor. We do not permit the use of effects that would leave a lasting impact on the stage without the approval of Thunderstruck Canada. Props should be constructed to be easily assembled and moved on and off the stage without damaging the floor. Props significant in weight or design must have proper protection to protect the floor from damage. For unique situations, the studio should contact Thunderstruck Canada. Additional assurances and acceptance might be required to use a prop that exceeds these rules. Routines that leave items such as feathers, flower petals, or other debris that require clean-up are considered props and need to be declared so that we can adequately plan. 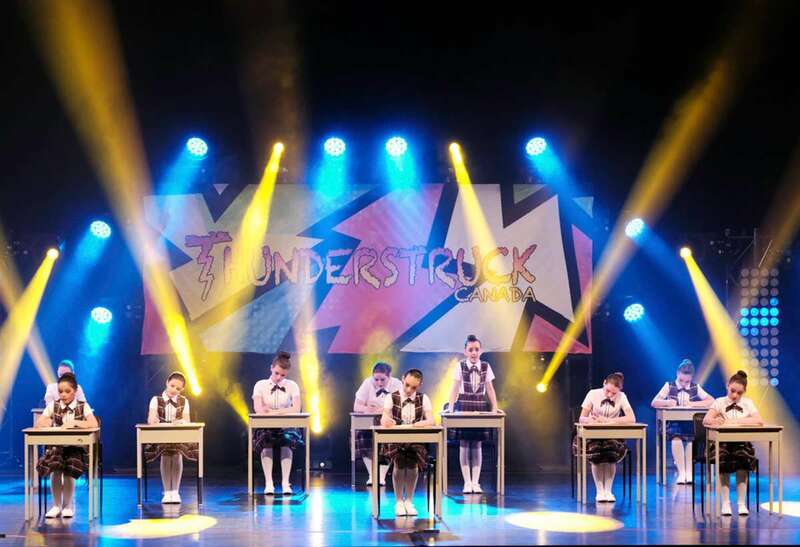 The use of any prop that leaves debris on the dance floor that needs a wet clean-up must be included in the prop description and requires direct approval from Thunderstruck Canada. The use of glitter, flakes, or any other substance that knowingly is difficult to sweep or clean is not permitted. Any material that is dispersed and requires a sweep and or wet mop that causes a delay in the competition requires prior approval and may be subject to additional fees. Prop Set-Up & Tear-Down Time Limits Props that require more than a couple of minutes to set-up & tear-down are subject to the approval of Thunderstruck Canada. Props that require more than a couple of minutes to set-up & tear-down are subject to the approval of Thunderstruck Canada. Unless otherwise arranged directly with Thunderstruck Canada, you should load in and load out props on the performance day of the routine, provided space permits in loading areas and backstage. Bigger props should be loaded in and out just before the event and following the performance. Please respect that the loading dock(s) are for that purpose and are not be used to park vehicles or trailers. Each venue has its intricacies and rules regarding props, and they can change from year-to-year. We have up-to-date prop information on the event page. If your studio has declared props, we will also send out a note with additional information. An example of an acceptable live prop would be things like a live person acting like a statue, as a crowd (not moving), or a person sleeping. An example of an unacceptable live prop and considered as a dancer would be a statue that "comes to life" by either moving on the stage thus affecting the performance or initiates some form of movement or expression that affects the choreography. For instance, a statue that tries to grab a dancer causing them to react. Live props are acceptable but are subject to the following rules: They can not make any action or movement that impacts the choreography or performance; otherwise, they must be added as a dancer as they are considered part of the routine. They can not interact with a dancer or dancers in a way that impacts the choreography or performance; otherwise, they must be added as a dancer as they are considered part of the routine.